SEMATAN: Works Minister Baru Bian is optimistic that the Pan Borneo Highway project will be completed in June, 2021. 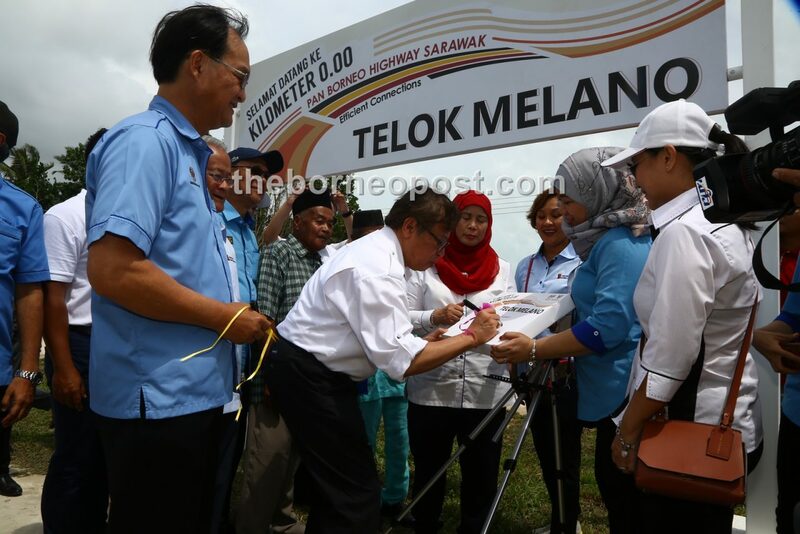 Speaking at the official opening of the new Telok Melano to Sematan route of the highway today, Baru was happy to note that the project employs about 10,300 Sarawakians at all levels – from workers to contractors, suppliers and vendors. Baru stressed that he had personally toured the project site and very happy to note that contractors were doing their best to complete their work packages on time and according to ministry specifications. He also urged contractors to prioritise the safety of motorists and provide proper road signages to prevent unwanted accidents.